Tun Razak Exchange of previously known as KLIF (Kuala Lumpur International Financial district) is a 26 billion development that was launched on 2012 as as effort to put Kuala Lumpur into the international financial map. The total development tenure of the project is set at 15 years with several phases. At the time of writing, development of this project has started. Prime minister Datuk Seri Najib Tun Razak Launched KLIF project which was later renamed to TRX. Land ground clearing process for TRX development has started. 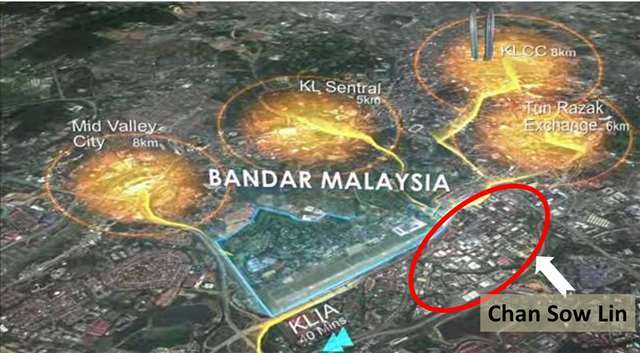 The first physical construction is expected to start on 2013. Aabar Investments PJSC and Abu Dhabi investment arm will be investing significantly on Malaysia’s Tun Razak Exchange development. WCT won the multi evaluation stage tender for ground clearing and ground works which is valued at RM 169 million. Earth works, basement and civil works has started. China’s Exim bank became a partner investor for TRX project. Construction works is expected to commence on early 2015. Around RM 3.5 billion foreign direct investment is projected with investment from 100 different companies and 500,000 employment opportunities to be created with phase one launch. The first phase completion will also coincides with opening of TRX MRT station on 2017. Projected final completion of TRX project. Food for thought: With the massive transformation in Malaysia, particularly Kuala Lumpur (KL) now, it is indeed a great timing and opportunity for investors to enter the market for business set up, bringing foreign talents and of course real estate investment. Being a frequent visitor and a real estate investor to KL myself, I have observed the tremendous transformation taking place and still ongoing for many years to come. It is like watching Singapore growing 10 years back. You can imagine the opportunities ahead and what property prices would be in the future. I think you I know your answer. Awesome! The year-on-year headline inflation at the national level slowed down to 4.1 percent in February from 4.2 percent in January. This was due to slower annual movements registered in the indices of alcoholic beverages and tobacco and transport. Those for the rest of the commodity groups were either higher or remained their last month’s rate. Inflation in February 2013 was 3.4 percent. Excluding selected food and energy items, core inflation decelerated to 3.0 percent in February from 3.2 percent in January. In the National Capital Region (NCR), annual inflation went up to 2.8 percent in February from 2.7 percent in January. Higher annual gains in the indices of clothing and footwear; housing, water, electricity, gas and other fuels; furnishing, household equipment and routine maintenance of the house; health; recreation and culture; and restaurant and miscellaneous goods and services contributed to the uptrend. Annual inflation In Areas Outside NCR (AONCR) eased to 4.5 percent in February from 4.6 percent in January. It resulted from the slowdown of the inflation in the indices of alcoholic beverages and tobacco; housing, water, electricity, gas and other fuels; and transport. The country’s month-on-month inflation improved to 0.1 percent in February from 0.7 percent in January. Price increments noted in food items such as rice, eggs, fresh meat, and powdered milk were tempered by the price decreases in fruits and vegetables. Lower charges in electricity rates and downward price adjustments in LPG also contributed to the downtrend. Annual inflation in NCR continued to inch up at 2.8 percent in February from 2.7 percent in January. In AONCR, annual inflation decelerated to 4.5 percent in February from 4.6 percent in January. Lower annual growths were observed in nine regions. The lowest rate of 2.7 percent was still posted in Davao while the highest remained in Eastern Visayas at 7.8 percent. At the national level, slower annual hikes were correspondingly registered in alcoholic beverages and tobacco and transport indices at 7.1 percent and 1.0 percent in February from their respective January rates of 17.6 percent and 1.2 percent. Meanwhile, higher annual growths were recorded in clothing and footwear index at 3.7 percent from 3.4 percent; housing, water, electricity, gas and other fuels index, 3.6 percent from 3.4 percent; furnishing, household equipment and routine maintenance index, 2.8 percent from 2.6 percent; and health index, 3.3 percent from 3.2 percent. Movements in the other commodity groups remained at their previous month’s rate. The country’s annual inflation for food alone index further accelerated to 5.9 percent in February from 5.7 percent in January. A double-digit annual mark-up was observed in the index of rice at 10.7 percent from 10.0 percent. In addition, a higher annual uptick was also seen in milk, cheese and egg index at 2.3 percent from 2.0 percent; oils and fats index, 1.2 percent from 0.4 percent; fruit index, 5.5 percent from 4.2 percent; sugar, jam, honey, chocolate and confectionery index, 2.4 percent from 2.0 percent; and food products not elsewhere classified index, 3.9 percent from 3.8 percent. The other food groups went up at a slower pace with the meat index retaining its last month’s rate of 2.6 percent. In NCR, the clothing and footwear index grew by 3.6 percent in February from 2.5 percent in January; housing, water, electricity, gas and other fuels index, 2.1 percent from 1.4 percent; furnishing, household equipment and routine maintenance of the house index, 2.7 percent from 2.2 percent; health index, 3.9 percent from 3.6 percent; recreation and culture index, 2.7 percent from 2.3 percent; and restaurant and miscellaneous goods and services index, 0.9 percent from 0.7 percent. The rest of the commodity groups either had slower annual increments or retained their January rates. The food alone index in NCR had a slower annual gain at 4.4 percent in February from 5.1 percent in January. An annual drop of 5.6 percent was still observed in oils and fats index in February from -5.7 percent in January and in fruit index, -0.7 percent from -1.1 percent. The annual add-on in rice index also decelerated to 13.3 percent from 15.0 percent; fish index, 3.4 percent from 7.0 percent; vegetable index, 7.6 percent from 9.2 percent; and food products not elsewhere classified index, 3.4 percent from 3.9 percent. The other food groups went up at a faster rate. In AONCR, the annual mark-up in alcoholic beverages and tobacco index slowed to 7.0 percent in February from a double-digit annual growth of 19.1 percent in January; housing, water, electricity, gas and other fuels index, 4.1 percent from 4.2 percent; and transport index, 1.0 percent from 1.2 percent. The rest of the commodity groups either have higher annual growths or retained their January rate except for the communication index whose annual change was zero from an annual drop of 0.1 percent. A higher annual inflation was still posted in the food alone index in AONCR at 6.2 percent in February from 5.8 percent in January. The annual gain in the rice index further rose to 10.3 percent in February from 9.4 percent in January as all the regions registered higher annual increases except Davao and ARMM. The biggest annual jump of 1.5 percentage points was seen in Ilocos (9.4% from 7.9%) and Eastern Visayas (14.6% from 13.1%). Except for the indices of corn and meat whose annual upticks were slower at 2.8 percent from their corresponding previous month’s rates of 3.1 percent and 2.9 percent, all the other food groups recorded higher annual mark-ups. The mixed price trends observed among the commodity groups resulted to a zero monthly growth in the prices of consumer items in NCR during the month from 0.5 percent in January. The index of alcoholic beverages and tobacco picked up 1.8 percent from 1.5 percent; housing, water, electricity, gas and other fuels index, 0.1 percent from a decline of 0.1 percent; transport index, 0.2 percent from zero growth; and recreation and culture index, 0.7 percent from 0.4 percent. On the other hand, the index of the heavily-weighted food and non-alcoholic beverages dropped by 0.6 percent from 0.9 percent increase. Those for the other commodity groups were slower or remained at their last month’s rate with the index for communication having a zero growth from 0.1 percent. Price increments on consumer items in AONCR further slowed down to 0.1 percent in February from 0.6 percent in January. A 0.2 percent reduction was posted in the index for housing, water, electricity, gas and other fuels in February from 0.6 percent in January. Moreover, the indices of food and non-alcoholic beverages and clothing and footwear moved up at a slower rate of 0.3 percent from 0.9 percent and 0.5 percent, respectively and furnishing, household equipment and routine maintenance of the house and health indices, 0.2 percent from 0.4 percent. The index for communication however inched up 0.1 percent from zero growth. The rest of the commodity groups either had zero growth or retained their previous month’s rate. Negative monthly rates were registered in Cagayan Valley (-0.1%) and Central Luzon (-0.2%), the lowest rate among the regions. Moreover, nine regions recorded slower annual add-ons. On the other hand, Caraga had the highest monthly rate of 1.0 percent in February. Among the three big areas of the country, prices of consumer items in Luzon generally remained stable compared to those in Visayas and Mindanao areas. The country’s consumer prices gained 0.1 percent in February, slower than the 0.7 percent uptick in January. The index for housing, water, electricity, gas and other fuels went down by 0.2 percent from a 0.5 percent growth last month. Contributing also to the downtrend was the slower monthly gain in the heavily-weighted food and non-alcoholic beverages index at 0.1 percent in February from 0.9 percent in January; clothing and footwear index, 0.5 percent from 0.7 percent; furnishing, household equipment and routine maintenance of the house index, 0.4 percent from 0.6 percent; and health and recreation and culture indices, 0.2 percent from 0.7 percent and 0.3 percent, respectively. The other commodity groups retained their last month’s rate with the communication index recording a zero growth from 0.1 percent. The vegetable index in NCR decreased by 7.6 percent in February from 0.4 percent in January. Sufficient volume of deliveries of vegetables at the NCR markets lowered their prices during the month. The group’s index in AONCR also slowed down to 0.4 percent from 2.1 percent. Higher prices of vegetables in Visayas and Mindanao areas were tempered by the lower prices in Luzon areas. The vegetable index in the Philippines declined by 0.9 percent from 1.8 percent. Abundant supplies of in-season fruits in the markets continued to push down their prices in NCR. Thus, the group’s index in the area and at the national level correspondingly fell by 1.6 percent and -0.3 percent. In AONCR, the monthly increment in the fruit index eased to 0.1 percent from 1.0 percent due to the negative rates recorded in 10 regions. In AONCR, the rice index went up 0.8 percent from 0.4 percent as eleven regions posted higher price adjustments in rice with the highest rate of 1.2 percent seen in Ilocos, Central Luzon and Eastern Visayas. Similarly, the rice index in NCR continued to climb at 1.1 percent in February from 0.9 percent in January and at the national level, 0.9 percent from 0.5 percent. Upward price adjustments in fresh meat such as chicken and pork raised the meat index in the Philippines by 0.3 percent; NCR, 0.8 percent; and AONCR, 0.2 percent. Higher prices of powdered milk were noted in many regions. Moreover, prices of eggs also went up during the month. Hence, the milk, cheese and egg index at the national level rose 0.4 percent; NCR, 0.5 percent; and AONCR, 0.3 percent. The favorable weather conditions prevailing during the month allowed more fishing trips which resulted to higher volume of fish catch. The improved supply levels of fish species in the markets pulled down its retail prices. The fish index in NCR thereby decreased by 2.1 percent from 5.1 percent gain last month and in AONCR, the growth moved down to 0.4 percent from 1.7 percent. At the national level, the group’s index posted a zero growth from an increment of 2.2 percent in January. Price reductions in cooking oil primarily effected the 0.9 percent decrease in the oils and fats index in NCR. In AONCR, the slower monthly gain in cooking oil effected a lower growth in its group’s index at 0.7 percent from 1.8 percent. Likewise, the oils and fats index at the national level moved up but at a slower pace of 0.3 percent from 1.6 percent. The food products not elsewhere classified index in NCR dropped by 1.5 percent due to downward price adjustments in selected spices and seasonings. In AONCR, higher prices of selected condiments, spices and seasonings resulted to 0.3 percent growth in its group’s index. This was however slower than the 1.3 percent add-on last month. These offsetting price adjustments among the regions caused the national index to post a zero growth from 1.2 percent in the previous month. Lower charges in electricity rates and price rollbacks in LPG pushed down the index for housing, water, electricity, gas and other fuels index in the Philippines (-0.2% from 0.5%) and AONCR by (-0.2% from 0.6%). On the contrary, the groups’ index in NCR inched up 0.1 percent due to the increments in the prices of selected construction materials. With higher prices in some items for personal care and effects in selected regions, the index for restaurant and miscellaneous goods and services in the three areas picked up 0.2 percent. The transport index in the Philippines and NCR rose 0.2 percent and in AONCR, 0.1 percent during the month due to general upward price adjustments in gasoline. The Philippine economy was one of the fastest-growing in Asia last year after shrugging off devastating natural disasters and expanding at a “remarkable” pace in the final quarter, the government said Thursday. The economy grew by 6.5 percent in the last three months of the year even as a super typhoon claimed thousands of lives and an earthquake struck popular tourist islands, Economic Planning Secretary Arsenio Balisacan told reporters. “This is a remarkable turnout,” Balisacan said, as he emphasised the final quarter expansion was expected to be the fastest in the Asia-Pacific after China, which recorded annual GDP growth of 7.7 percent last year. Growth for all of 2013 was 7.2 percent, the fastest since President Benigno Aquino came to power in 2010 and exceeding the government target of 6.0-7.0 percent. The government said the main drivers of growth were in the manufacturing, trade, real estate and finance sectors, while hailing the performance as further proof of Aquino’s economic stewardship. The Philippines endures relentless natural disasters because it is located along a typhoon belt and the so-called Ring of Fire, a vast Pacific Ocean region where many of Earth’s quakes and volcanic eruptions occur. However the final quarter of last year was particularly brutal, with Super Typhoon Haiyan leaving 8,000 people dead or missing in November as it crushed entire communities across the central Philippines. The typhoon also ruined the livelihoods of millions of people mostly in poor farming and fishing communities, and a multi-billion-dollar effort to rebuild the devastated areas is expected to take many years. Haiyan came after a 7.1-magnitude quake struck some of the country’s main tourist regions in October, claiming more than 220 lives. “We were expecting that somehow, given what happened in November (with Haiyan), it could really pull growth down,” Astro del Castillo, an analyst with local investment management firm First Grade Finance, told AFP. The manufacturing sector expanded by 12.3 percent in the final quarter of the year, more than twice as fast as the same period of 2012, partly due to growing exports, according to official data. Exports of services was another key growth area, up 7.0 percent in the final quarter, as the business process outsourcing (BPO) industry dominated by call centre operators continued to boom. Balisacan said Haiyan’s impact would continue to drag on the Philippine economy in the first quarter of 2014, as millions of survivors in typhoon-affected areas struggled to rebuild their homes, businesses, farms and fishing boats. “But we are optimistic that the Philippine economy will remain strong in 2014, especially…(because) the outlook on the global economy is becoming more favourable and as the domestic economy remains robust,” he said. Finance Secretary Cesar Purisima described last year’s economic performance as “astounding”, pointing out that the final quarter was the eighth consecutive three-month period of growth exceeding 6.0 percent. “This growth demonstrates the resilience of the country,” he said. Krystal Tan, a regional economist with research group Capital Economics, also described the Philippine economy as having proved “remarkably resilient” to Haiyan. She said the vast amount of money being spent on the reconstruction effort would help spur the economy in 2014, and forecast full-year growth of 6.5 percent. Food for thought: There are many reasons as to why the Philippines is currently one of the countries in the SE Asia to invest in, especially in real estate. The country is also English speaking, thus making it attractive for both foreigners and locals. One should invest in their Financial Education so to be able to be objective in their investment, instead of being emotional. Awesome! The Property Market Is Booming Again As Inflation Nears Double-Digits, So What Next For House Prices? House prices are booming again if you look at the major property reports. Nationwide and Halifax have seen a surge in annual inflation in recent months and the lagging Land Registry and ONS indices also show prices picking up. London and the South East are driving prices much higher and skewing these headline figures, but prices are now rising in many reports across the country. But set against that sellers outside of the most popular areas still say the market is tough. So what will happen next? The latest house price news, predictions and market reports are analysed by This is Money’s property expert Simon Lambert. Soaring: House prices have leapt nearly 9 per cent in the last year. Average house prices have surged by £14,000, or 8.8 per cent in a single year, rising at their fastest pace since 2010 the latest Nationwide house price index has revealed. It found average property values rose 0.7 per cent month on month to reach £176,491, the highest average price since April 2008. January also marked the 13th consecutive monthly rise in property values reflecting a rebound in consumer confidence, the building society said. Average property values have also risen by no less than 0.7 per cent each month since last July. It came as the Land Registry reported house prices in England and Wales rose 1.1 per cent in December compared with a month earlier, which pushed the annual increase up to 4.4 per cent from 3.3 per cent in November. House prices in London spiked up 2.6 per cent in the month and were 11.2 per cent higher than a year earlier in what the Land Registry called and uplift that was ‘considerably highers than other regions’. The price of the average property in the capital now stands at around £403,792. Recent research by This is Money highlighted how the resurgence in house prices set against stagnant wages is pushing homes further out of reach. 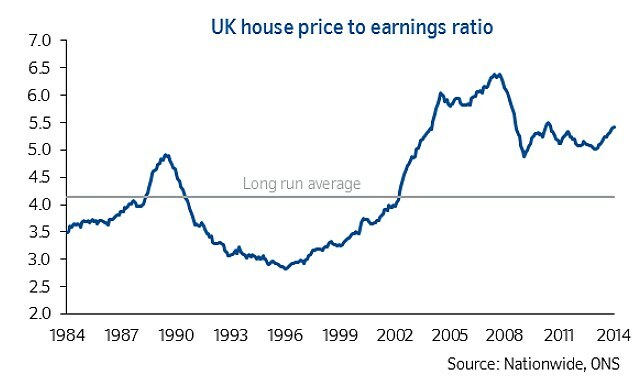 we plotted average house price inflation against wage inflation to illustrate the disturbing decade-long trend of property prices rising considerably above earnings. House prices are currently rising by 5.4 per cent a year, whereas at the same time wages are rising 0.9 per cent. So the cost of buying the average home is going up six times as fast as earnings. To put that into context a home buyer needs to find £16,000 more than a year ago, but wages have only risen by £261. Average UK house price inflation is being pulled up by London and the South East – knock them out of the equation and prices are rising more gently, by 3.1 per cent annually. Yet, that still means they are going up almost three-and-half times as fast as wages. Estate agent Savills has issued its prediction for house prices for the next five years. It sees house prices rising by 25 per cent over five years across Britain, but adds that some areas will outstrip that and London, which is also tipped to rise 25 per cent, over this period. The South East and East of England are expected to rise by 31 per cent, while the West will rise 29 per cent. 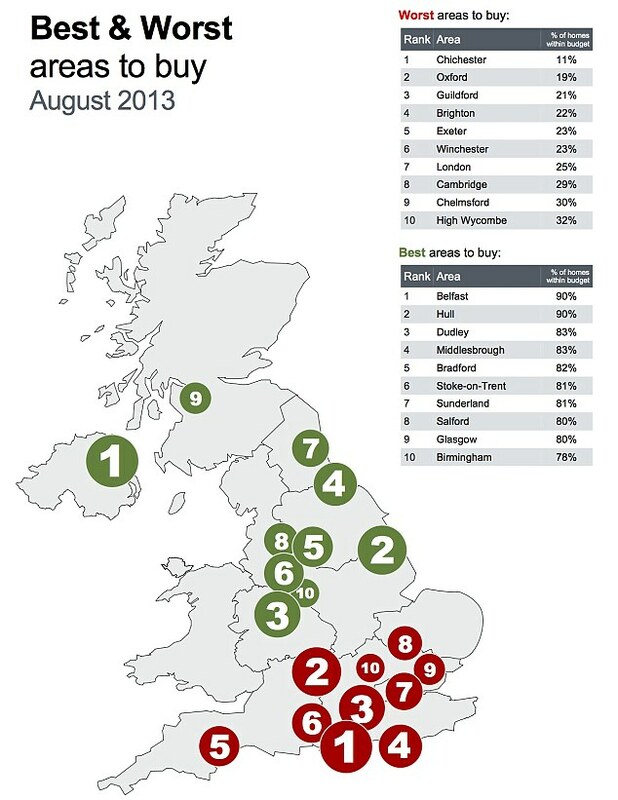 Prices will rise close to the average in the Midlands and at about 20 per cent across the North, Wales and Scotland. For prime property, it says prices will be up by about 25 per cent across London and the commuter belt, with a rise of 21 per cent in England below the North South divide and 18 per cent above that and in Wales and Scotland. 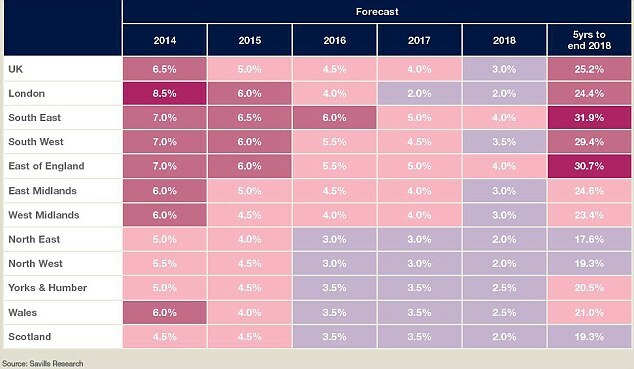 It has detailed its forecasts in the interactive map above, which can be moved between prime and mainstream markets The Savills map defaults to prime prices, click on mainstream markets to see the wider picture, then use the year buttons at the bottom. CAN YOU TRUST LAND REGISTRY FIGURES? The Land Registry monthly report excludes a sizeable chunk of the property market. New build home sales are not included and neither are properties that have previously been in long-term ownership. Due to its repeat sales formula, the Land Registry monthly index does not include any property that has not sold at least twice since 1995. Quarterly figures that include all transactions show prices up by 6.84 per cent in the year to June to stand at an average £242,415. Monthly figures for the same period show prices up 0.6 per cent annually at an average of £162,169. House prices for first-time buyers are rising seven times as fast as average wages, official figures revealed today, with new homeowners spending £14,000 more than a year ago. Homebuyers are being forced to stretch themselves further, the ONS data showed, as prices pick up in a resurgent property market fuelled by Government support schemes. House price inflation for first-time buyers hit 6.4 per cent in November, as it continued to outpace the 0.9 per cent rise in average wages recorded in the most recent ONS figures. The dramatic turnaround in the property market’s fortune means the average first-time buyer is now paying £187,000 compared to £173,000 a year earlier. Home movers are paying an average of £284,000, the ONS house price index said, which amounts to £18,000 more than a year earlier. Fears of a new property bubble being inflated have been stoked by rising prices set against a backdrop of low interest rates, cheap money being pumped through banks to homeowners by Funding for Lending and the Government’s deposit-boosting Help to Buy schemes. The main driver behind the bounce back over the past year has been mortgage rates falling, banks and building societies loosening lending criteria and some confidence returning to the market. The first part of the Help to Buy scheme, which boosts deposits for new build purchases, seems not to be driving prices substantially higher, with the average cost of a new home rising by just 2 per cent annually compared to a 5.7 per cent increase in existing properties. Are these really signs of a new bubble? But is this really painting the picture of a boom? One flaw in the bubble case is that property transaction figures are also released by the Land Registry and show that while the market may be picking up, sales are still far below pre-crash levels. They have a long way to go to get anywhere near long-term average levels. Of course, they may not get back there and house prices could still continue to rise too fast. The other point to highlight is that while there can be little doubt that much of London and the South East are sat firmly in bubble territory, much of the rest of Britain’s heavily localised property markets remain depressed. 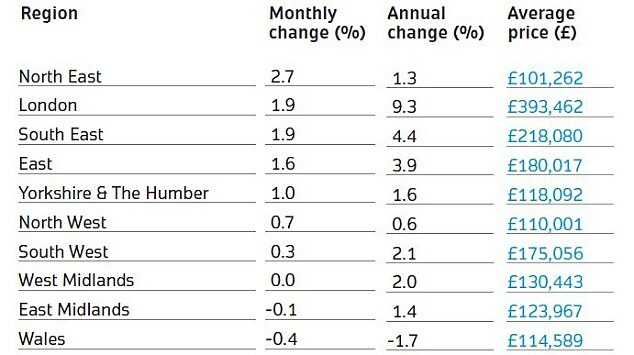 Snapshot: The Land Registry table details what is happening to prices across England and Wales. The property market has become the cornerstone of the British economy, so in the short-term rising prices spell good news. Property in London and the popular commuter belt has been on full steam ahead for some time after recovering from the post credit crunch slump, but much of the rest of the country has been stuck in the doldrums. With wages stagnant and many stuck with low levels of equity or in negative equity, this has left people unable to move and sapped confidence.Those who have been stuck in this position will welcome a pick-up in prices. In the short term a revival is good for the economy. People moving home tend to spend money, on anything from new household goods to solicitors fees, and rising house prices generally equate to greater confidence. Looked at over the longer term, however, a return to above inflation property price rises is likely to cause the economy more problems. Prices are still historically high compared to wages and homes are only affordable due to record low mortgage rates, which one day must rise. The props under the market from Funding for Lending to Help to Buy have a common aim, making expensive property more affordable through easier credit. Arguably it would be better if property became more affordable due to wages rising in relation to house prices and without a substantial increase in earnings this can only happen if property values don’t shoot up. While much of the property industry has welcomed the return to rising house prices, critics suggest another property bubble is risked by the addition of the Government’s Help to Buy schemes to the cheap mortgage cash pushed by the Bank of England’s Funding for Lending scheme. And even if much of the country’s moribund local property markets feel at little risk of being hit by a new bubble, the overheated London and South East markets could come crashing down and take the rest of the economy out with them. Best and Worst: It will cost you the most to buy a home in Chichester, while buying in Belfast gets you more for your money, says job and property listing site Adzuna. Help to Buy: what’s this all about? Help to Buy takes aim at tackling a short-term issue in the property market, lenders’ demanding large deposits for decent mortgage rates and in its first round offered to bump up a 5 per cent deposit to 25 per cent on a new-build home through a five-year interest-free loan. The second part provides mortgage lenders with a guarantee that protects them if they take on borrowers with a 5 per cent deposit, essentially underwriting any losses up to 20 per cent. Helping more people who want to buy a hope is a noble idea, but the real problem with our Britain’s property market is that homes are too expensive. The cold hard truth is that for our economy to function properly either house prices need to fall or wages need to go up to. Help to Buy eases the symptoms but does not tackle the cause and arguably makes the situation worse not better. The difficult part of the Help to Buy argument is that from the side of the hopeful first-time buyers and movers taking the cash it can look a short-term no-brainer. The way Britain’s property market game is run means it’s a big risk to sit on the sidelines. You may believe interest rates are too low, but if you are a homeowner it would be foolish not to take advantage of them to cut your mortgage payments. Likewise, it’s hardly surprising there has been a steady supply of people willing to take some interest-free government money to get out of their rented home or climb up another rung of the property ladder, when the alternative is to stay put, save hard and hope property prices fall and wages rise. The big potential stumbling blocks for the property market. 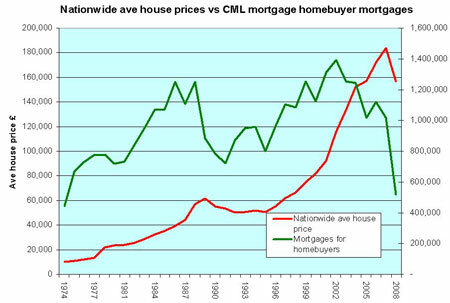 Lenders have made it much tougher to take out cheap interest-only loans, which had helped prop up the property market. A squeeze on interest-only has been in place since the financial crisis hit but has dramatically stepped up a gear last year. The effects of this should not be underestimated. Those with existing interest-only mortgages are finding their lenders will not let them borrow more to move unless they switch to a repayment loan which comes with much higher monthly payments, this is a reduction in credit and will exert downward pressure on prices. The second problem is that banks and building societies are not out of the woods yet. It may have gone quiet for the moment but the threat of crisis weighs heavily on the banking sector – if things get worse again banks could still find their balance sheets hammered. Government cuts filtering through, as the UK tries to balance the books, mean public sector job losses, higher taxes and a dip in confidence. The cost of moving is also sky-high. Those buying family homes in areas where a relatively modest property of this kind costs more than £250,000 face a stamp duty bill of at least £7,500, add estate agent and solicitors’ fees and moving can set a normal family back £15,000 or more, without even having to find the extra cash for a 25% deposit on a more expensive home. The flipside to fragile confidence is that mortgages continue to get slightly easier to secure and borrowed money at the moment is cheap by historic standards. So if you can get a good deal and a good rate, now is a good time to buy provided you accept prices may fall again in the short term. So should you buy? The answer should be based on how long you plan to own the property (whether as a home or investment), whether it personally suits you and most importantly whether you can afford it. Buyers preparing to take the plunge should bear these factors in mind and ensure they can take the hit of future interest rate rises and a fall in house prices. Confidence may return and the property market continue to rise from here, but if things take a turn for the worst it is also not unrealistic to see prices falling by 10% over the next year or two. Caveat emptor (buyer beware) and make sure you’d be happy in your new home, because you could be stuck there in five years’ time. 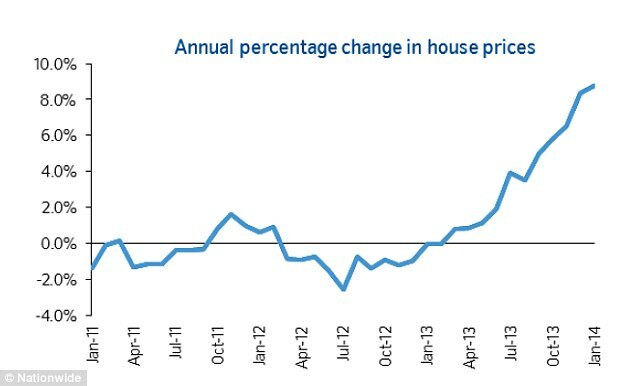 The party finally came to a sticky end for UK property prices in 2008. After a decade long boom, the market peaked in late summer / autumn 2007, and then prices tumbled as banks beat a hasty retreat from easy lending. House price falls accelerated through 2008 and property market activity hit record lows in late 2008 and early 2009. The property market’s performance in 2008 was worse than almost all of the gloomiest predictions made for the year. Of the major reports, the gloomiest picture was painted by the Halifax. Its index showed the average property losing a greater percentage of its value in just 12 months than during the whole peak to trough period of the 1990s crash. In December 2007, the Halifax index said the average home was worth £197,074, a year later this had fallen to £159,896 ‘ a drop of 18.9 per cent. At the peak before the 1990s crash, Halifax’s figures show the average home was worth £70,247, in May 1989. Six years later, property prices bottomed out, in July 1995, at £60,965. This was a peak to trough loss of 13.2 per cent, although it was much larger in real terms. The Land Registry’s report showed property prices falling by 13.5 per cent over the year, with the average home in England and Wales worth £158,946 ‘ a similar value to October 2005. Even in the supposedly robust London market, the average home lost 12.9 per cent, or £45,585, to end 2008 worth £307,071 ‘ a similar value to November/December 2006. How the property market was hammered? While property price statistics for 2008 and early 2009 painted a fairly bleak picture, they did not fully reflect the devastation wreaked so rapidly. In a little over a year, a booming property market became desolate, with the Royal Institution of Chartered Surveyors reporting its agents selling less than one property per week of the year. A perfect storm hit the UK property market in 2008. With property prices having risen by 200% in the ten years to December 2007, according to the Land Registry, property was in a bubble. Many economists had predicted that this bubble was ripe for bursting, but after showing signs of a slowdown in 2005, the market sped up again and the average price peaked between August 2007 (Halifax: £199,612) and January 2008 (Land Registry: £184,784). The pin that burst the bubble was the credit crunch. The sub-prime crisis that had been brewing in the United States erupted in the summer of 2007, and as the year continued, the residential mortgage-backed securities market that had driven massive growth in credit for homeloans essentially ceased to exist. These allowed lenders to sell packaged residential mortgages to a special purpose vehicle, which then issued debt to investors, lured by strong returns from a supposedly liquid and low risk investment. According to the interim report by Sir James Crosby, commissioned by the Treasury, between 2000 and 2007, the total amount outstanding of UK residential mortgage backed securities and covered bonds rose from £13bn to £257bn. The report said that by 2006 mortgage-backed security funding accounted for two-thirds of new net mortgage lending in the UK. In July 2007 this market came to an ‘abrupt halt’, according to Crosby. This brought about the collapse of Northern Rock in the UK, problems for banks such as Bradford & Bingley that had fuelled the buy-to-let boom and major issues for all mortgage players. In February 2008, Northern Rock was nationalised and American bank Bear Stearns, which had specialised in the fancy finance that fuelled the mortgage boom, collapsed. It was the final sign that the party was over. Banks fearful of huge losses began to dramatically cut back on mortgage lending and a vicious circle began. The more banks cut back on lending and raised deposits, the fewer homebuyers could secure finance, the more property prices fell and banks became more fearful and cut back further on lending. Mortgages are the key to the property market. The vast majority of buyers cannot purchase a property without a homeloan and the price, availability and restrictions imposed on these have the biggest impact on their ability to buy a home. The dramatic slump in property prices in 2008 and early 2009 came as lenders turned off the mortgage taps. Lenders suffered a lack of funding, with the mortgage backed securities market that accounted for two thirds of new lending suddenly seizing up. Meanwhile, banks were also hit by a crisis of confidence, as they looked over the Atlantic and saw the devastation wreaked in America heading for the UK. Mortgage rates rose, deposits were hiked and reports abounded of lenders pulling mortgages at the eleventh hour. Mortgages for home purchases dived by 49 per cent in 2008, to just 516,000, according to the Council of Mortgage Lenders. This was the smallest number since 1974 and represented a third less than the 723,000 approved in 1991 ‘ the lowest level of the 1990s slump. The Bank of England’s monthly figures have also shown mortgage activity drying up. The number of mortgages for homebuyers hit a record low of 27,000 in November 2008. In September 2007, just before the downward spiral began Bank of England figures showed mortgage approvals for homebuyers of 102,000 ‘ significant at that time as this was the lowest level for two years. One of the effects of the rapid inflation in property prices since the early 1980s is that it paid off a generation’s mortgages. Those who bought a home in the 1980s to early 1990s, and then held on through double-digit interest rates and the 1990s crash, have emerged with properties that have risen to be worth five to ten times their mortgage. The average UK property cost £30,898 in 1983, according to Halifax, and £198,500 in September 2007 ‘ an increase of 542 per cent. Even allowing for the current slump that property was worth £160,327 in February 2009, an increase of 419%. For a similar effect to be delivered to a modern day homebuyer, the cost of the average property would need to stand at £832,097 in 2035. In 1983 the average wage according to the Office of National Statistics was £7,700, today the most comparable measure stands at £24,900, an increase of 223 per cent. If both property and salary inflation are sustained at the same long-term rate, the average wage by 2031 will be £80,500 and the home will cost 10.3 times more. This compares to the average home costing four times the average wage in 1983 and 8.5 times the average wage (£23,300) at the peak of the Halifax index in August 2007. The big problem is that since 2000 wages have not risen anywhere near as fast as property prices or general prices in the economy, and since recession struck they have barely risen at all while inflation has returned with a vengeance. The idea that inflation pays off individuals’ debts really only helps people if their wages rise in line with prices – otherwise inflation is just making them poorer. The positive side – demand and supply and property prices? Pessimists would have you believe that property in the UK is doomed, but this ignores the fact that housing is not stocks and shares. Owning a home is an emotional desire, a must-have aspiration for most Britons, and the demand for property in Britain remains high. Prices may have fallen by 20%, but many potential buyers see this as a good purchasing opportunity. The shortage of supply of property in the UK compared to demand has arguably been exaggerated by developers and the Government, but decent sized family homes in popular areas are typically in short supply. Government development targets and planning guidelines have focused on quantity rather than quality. Target-led development has encouraged major scheme developers to concentrate on flats and small properties in order to deliver the most homes at the cheapest price. A report by the National Housing and Planning Advice Unit the government’s independent housing experts said that an undersupply of larger homes pushes up the cost of all properties and exacerbates house price inflation problems. While falling property prices has brought tough times for those who have seen equity slashed, fallen into negative equity or even had their homes repossessed, there are others who are pleased that prices are falling. Lower property prices are a boon to first-time buyers and those moving up the property ladder, but only if they can raise the substantial deposit needed to take advantage. The UK’s high house prices are a drag on its economy, they hamper movement, encourage boom and bust and leave it vulnerable to shocks. Narrowing the gap between property prices and wages and making buying a home less of a gamble, would be a good thing. Food for thought: While many will start “chasing” properties when the excitement begins and prices start to move upwards, it is important to fall back on fundamentals. Invest in your Financial Education and follow the set criteria to avoid falling into the trap of listening to noises. Awesome!